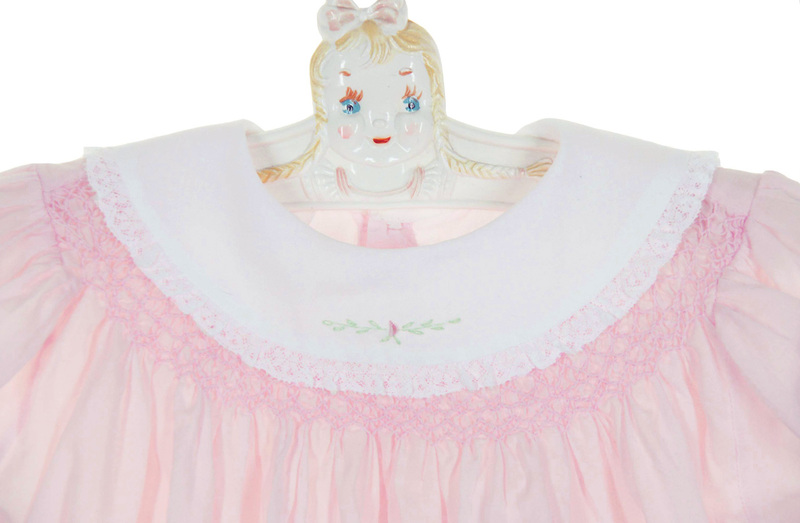 Grammie's Attic has an incredible collection of vintage and heirloom baby, toddler, and children's clothing from the late 1800s through the 1960s. You'll find elegant Victorian and Edwardian dresses, heirloom christening gowns from the 1920s and 1930s, adorable vintage rompers from the 1930s and 1940s, beautifully embroidered heirloom dresses from Madeira and the Philippines, vintage button on shorts sets and wonderful heirloom dresses from your favorite manufacturers, including Feltman Brothers, Polly Flinders, C. I. Castro, and Nannette. Be sure to see all of our heirloom baby and toddler clothes for perfect christening outfits, portrait outfits, birthday outfits, and special occasion outfits for your little boy or girl!